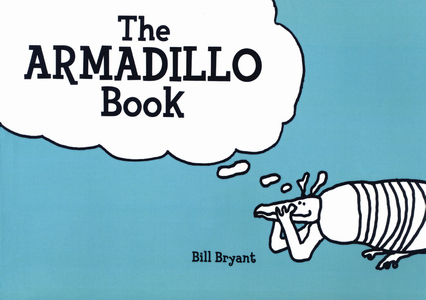 The armadillo, a slow, dull-witted, dirt-eating creature resembling a prehistoric rodent, has firmly established itself in the folklore of the South and Southwest. Migrating northward from South and Central America more than a hundred years ago, this strange-looking animal can be readily identified by its tough, scale-like coat of armor, elongated snout, and its propensity for doing battle with eighteen-wheel vehicles on America's highways. Despite its lemming-like compulsion for self-destruction, the armadillo survives in large numbers and, as this volume duly records, continues to impose its presence on modern society. Bill Bryant is a professor of art at Northwestern State University in Natchitoches, Louisiana, where he regularly observes and documents the antics of this hapless creature.